There are thousands of Movie Theaters have a military discount! Are you taking advantage? For example, my wife and I went to see Man of Steel last year at an AMC Theater. They offered a Military Discount Friday-Sunday starting at 4pm. They required a valid Military ID at the box office. Normally on the weekend, tickets are $10 and military discount brings it down to $7.50. 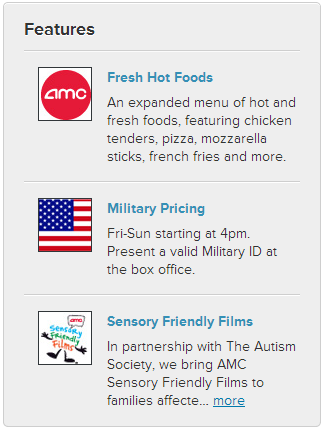 If you visit a AMC Theater, it easy to see if they have a Military Discount. 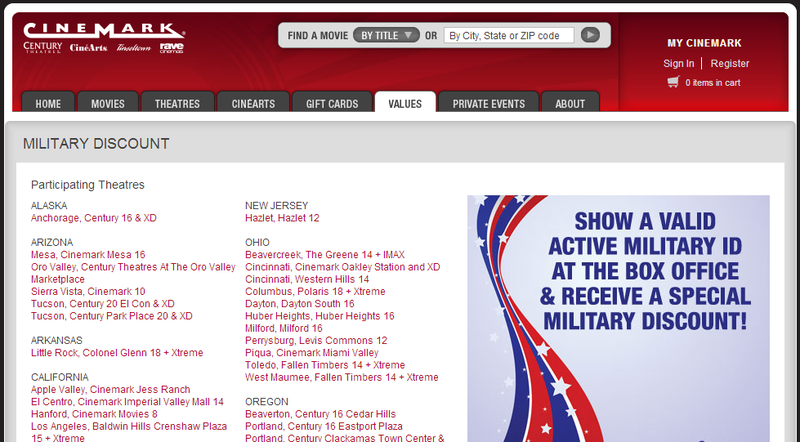 First visit the specific theaters page (example Mesa-Grand). Look on the right hand side for the "Military Pricing" under Features. If you are curious what the discount is you can scroll up and call the theater for specific details. To save additional cash at the theater, use ibotta which gives you $1 off each ticket. You can also get $5 off any $7 ticket using ibotta at Regal Cinemas. Each theater has there own specific details and rules about their military discount so just make sure to ask so you can take advantage or at least know for the next time that you see a movie at that theater. If you have any experience with the theaters listed above, please comment below and I will update the article.